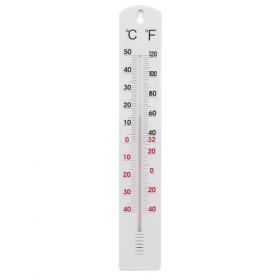 Grower's Edge® Jumbo Wall Thermometer measures temperature for indoor and outdoor environments. It measures temperature in Fahrenheit and Celsius. 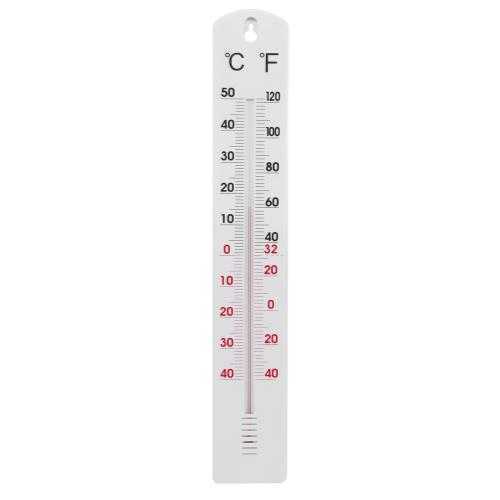 Grower's Edge® Jumbo Wall Thermometer has a water resistant design that allows you to hang it indoors or outdoors. Extra large graphics on a white face makes it easy to read from long distances.